So you’ve got yourself a multirotor and now you want to shoot high quality video… well you could strap your camera directly onto your drone, but your footage will be shaky and likely suffer for jello; this is where a brushless gimbal comes in, it’s job is to stabilise your camera so it can capture silky smooth footage. The market is flooded with gimbals but many of them don’t deliver great footage. If you are after a two axis GoPro gimbal then look no further than the Tarot T-2D v2, it’s quite simply the most refined brushless gimbal for the GoPro 3 on the market. 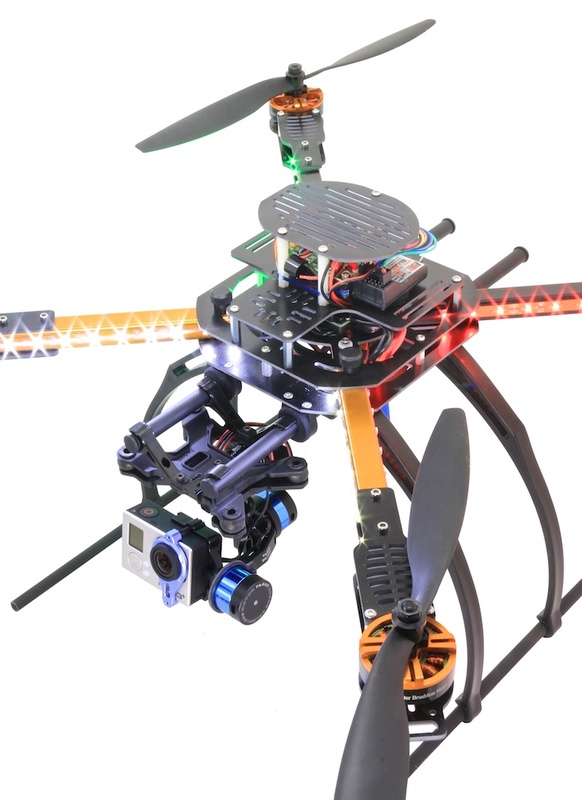 It uses cutting-edge three-axis gyroscope technology to ensure super stable, jello-free images, no matter how fast you fly and even in windy conditions. The Tarot T-2D v2 boasts a lightweight, precision CNC machined 6061T6 aluminum alloy construction, which has been engineered to perfectly balance out with the GoPro3 so the load on the motors is minimised. The v2 also features an improved two layer vibration isolation mount to help ensure jello-free footage. 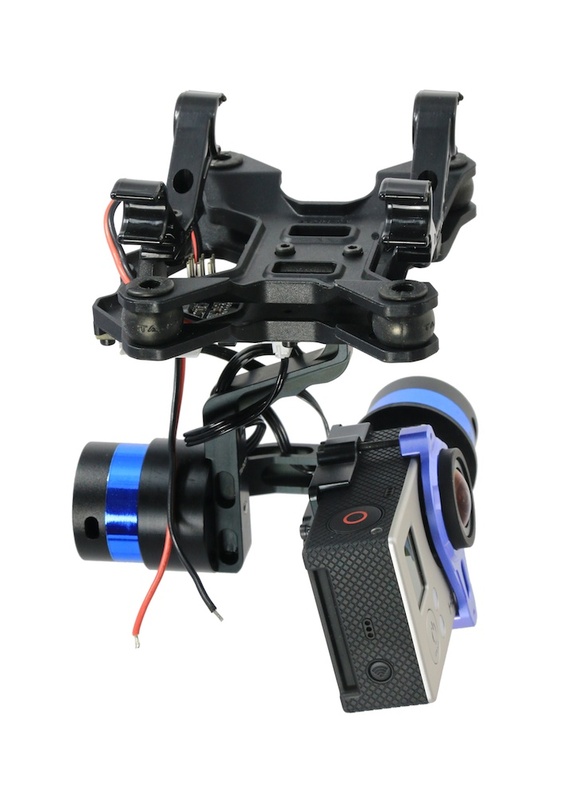 When it comes to the electronics, the Tarot ZYX22 brushless gimbal controller (BGC) more matches the quality of gimbal’s construction. It is unique from all the other BGCs on the market in that Tarot removed the FTDI chip from the board to save size and weight. Instead the board can be easily programmed using the included USB adapter. The board also rates high in functionality; featuring support for standard RC input as well as S.BUS and Direct DSM2/DSMX input to control tilt and roll remotely, enabling you to capture Hollywood style shots. The gimbal does require assembling, but it’s not more than a 20 minute job. Once completed the gimbal will work fine on the default settings, however we recommend uploading our tuned parameters for the best performance. 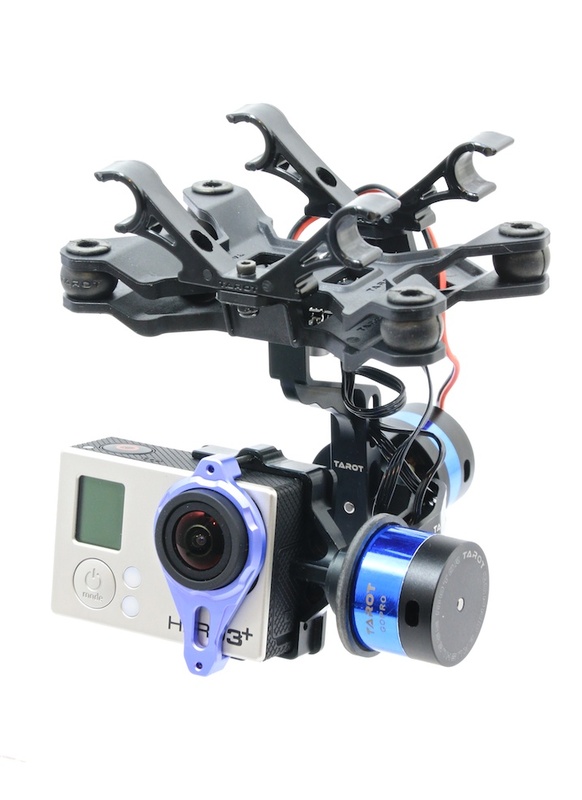 If you plan on flying FPV using this gimbal with a GoPro you will require the Tarot Video Out Cable. Please note that the Tarot gimbal should be powered by a 2S or 3S LiPo battery only. If you plan to use 4S, please use a voltage regulator to ensure the voltage stays within safe operating limits. Micro USB - Type B required to program the board. 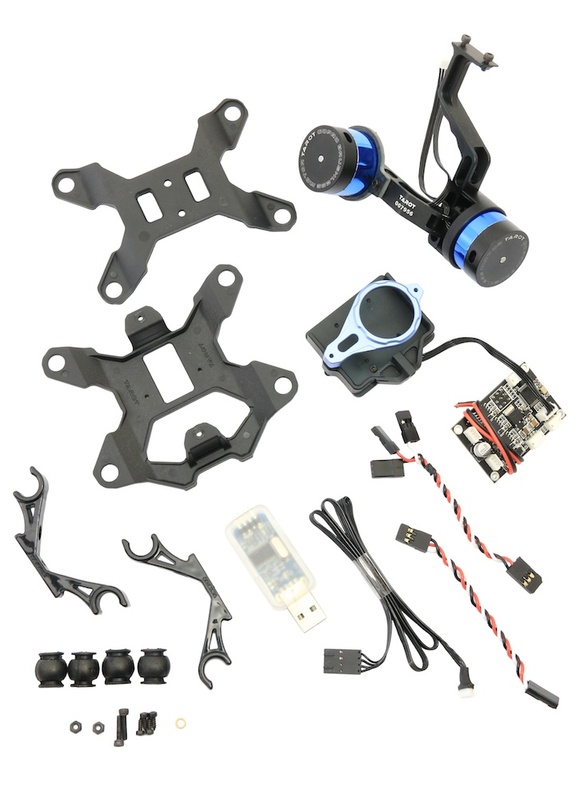 Hi, will the Tarot T-2D work with the SJCAM SJ4000 1080p Camera? Hi, if it measures the same as the GoPro Hero 3 then yes it should. If you tell me the dimensions of it I'll check for you. Hi would it be possible to fit a gopro 2 . Unfortunetely the GoPro 2 is larger than the GoPro 3 and won't fit the gimbal. It won't fit directly, you would need some sort of adapter. I think 3DR sell them, but I've also seen 3D printed ones. 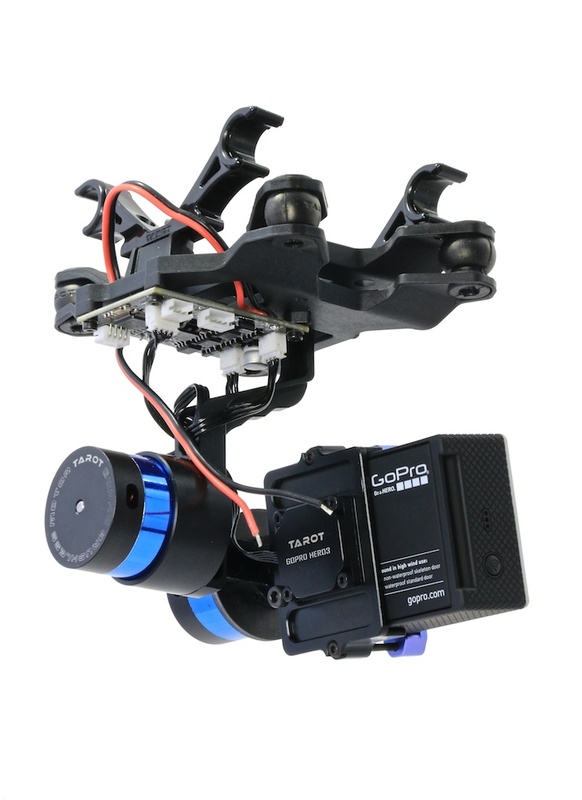 Will the Tarot T-2D gimbal and controller plug directly into an APM 2.5?